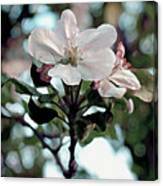 Queen duvet cover (88" x 88") featuring the image "Apple Blossom Time" by RC DeWinter. Our soft microfiber duvet covers are hand sewn and include a hidden zipper for easy washing and assembly. Your selected image is printed on the top surface with a soft white surface underneath. All duvet covers are machine washable with cold water and a mild detergent. So delicate and precious..Beautifully done RC!!! 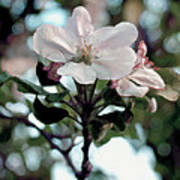 I love how your flower is so delicate and soft. I also like how your background is there yet diffused just enough. I have only been here a couple of months. It is the nicest site I've run across and I like not having to deal with any of the business end. This crone has more important things to do! I like the marketing I've seen from you. I'm just beginning and guess I'm feeling a little shy about it. It's really putting yourself out there when people start looking at your art. Well, well, one of these days we will be famous and looking back fondly at this time. 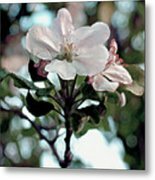 Copyright 2009 RC deWinter ~ All Rights Reserved Delicate apple blossoms herald the arrival spring in northeastern Colorado. Reimagined and painted in digital oils from an original photograph. 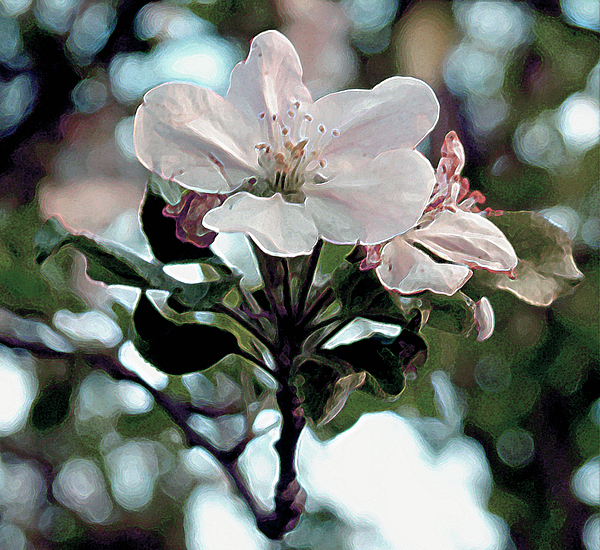 This painting has be FEATURED in Arts Fantastic World Bath And Spa Prints Beautiful Flowers Digital Art And Photography For A Simple Imagination Fine Arts Professionals Pin Me Visions Of Spring - Glances Of Summer Wisconsin Flowers And Scenery Thanks to the group hosts for their encouragement and support.